Hmmmm.... an album with Don Van Vliet singing, featuring a song called "Peaches"? It must be great. Right? Wait. Is this Captain Beefheart and The Magic Band attempting to make an album of radio friendy songs? In that context, this album might be just what they were trying to do. But did they get any airplay from this? I doubt it. This is a set of ten hideously normal (read: completely unmemorable) tunes from Van Vliet and his crew. His abstract, borderline insane lyrics are nowhere to be found here, replaced by boring pop drivel, some of it quite insipid. The music itself is also plain. The only place where you might notice that it's actually The Magic Band playing are the occasional, all too brief guitar solos, which slightly touch upon the feel of the other Beefheart albums. If you see this album coming, run the other way. Fast. The entire Magic Band quit after this album, and no wonder. 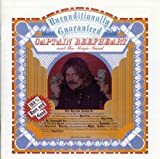 The first of Beefheart's two ill-fated albums on Mercury Records finds him faced with an unsympathetic production job and a lineup on the verge of mutiny. The drift into commercial territory which had yielded fascinating and evocative results on The Spotlight Kid and Clear Spot zooms out of control, resulting in most of the songs being played and mixed in a spineless, soulless commercial style, with the Captain's eccentric lyrics and vocal style being de-emphasised like on no previous Magic Band album. Occasionally the instrumental backing starts creeping towards more interesting territory, as on I Got Love On My Mind, but it never quite manages it. 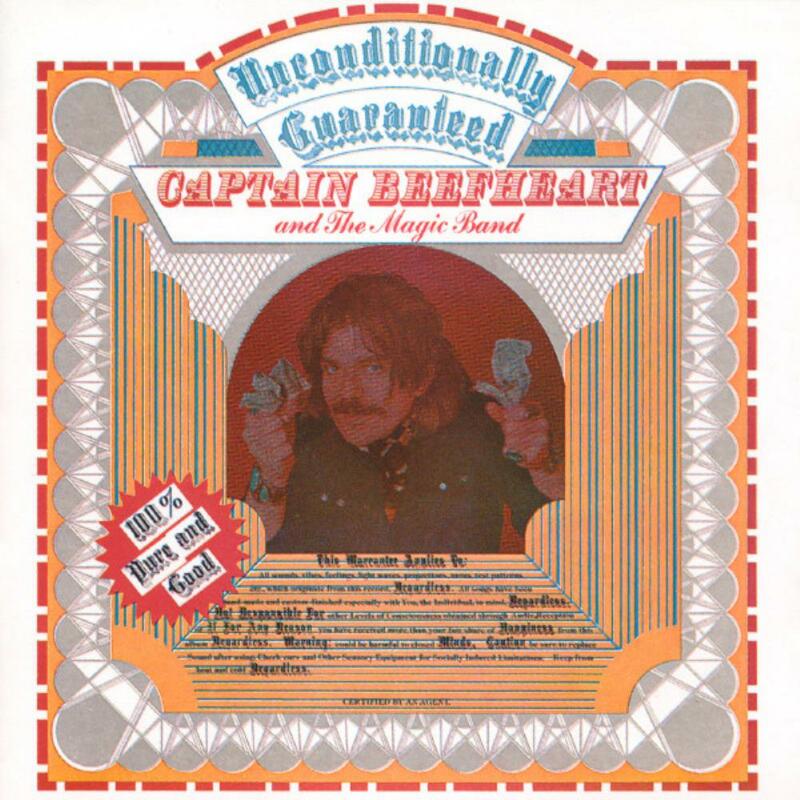 Anyone who listens to this album without hearing any of the Captain's better work would come away with the impression that the Magic Band were a third-rate, plastic soft rock band; anyone who listens to this who has heard the likes of Trout Mask Replica or Lick My Decals Off will rage at the utter waste of talent the album represents. Avoid. 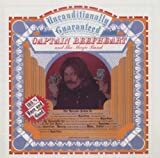 Post a review of CAPTAIN BEEFHEART "Unconditionally Guaranteed"